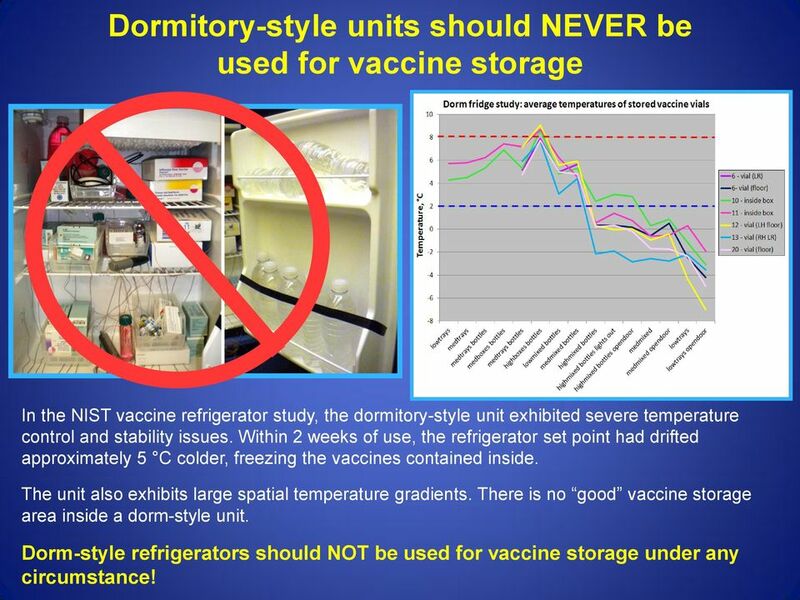 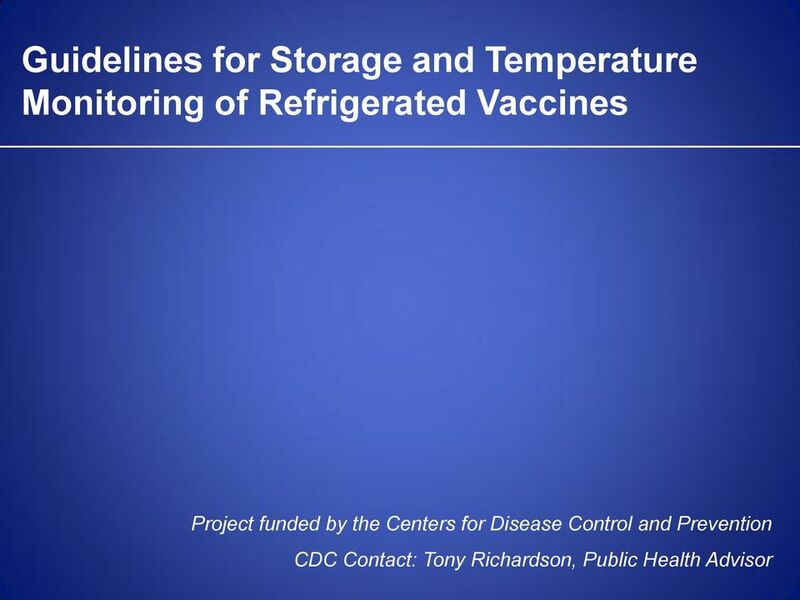 Download "Guidelines for Storage and Temperature Monitoring of Refrigerated Vaccines"
3 Dormitory-style units should NEVER be used for vaccine storage In the NIST vaccine refrigerator study, the dormitory-style unit exhibited severe temperature control and stability issues. 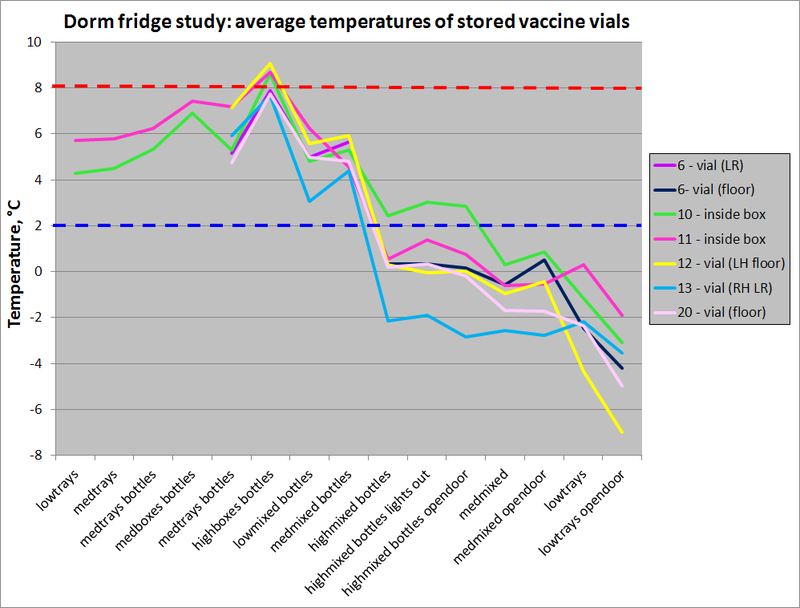 Within 2 weeks of use, the refrigerator set point had drifted approximately 5 C colder, freezing the vaccines contained inside. 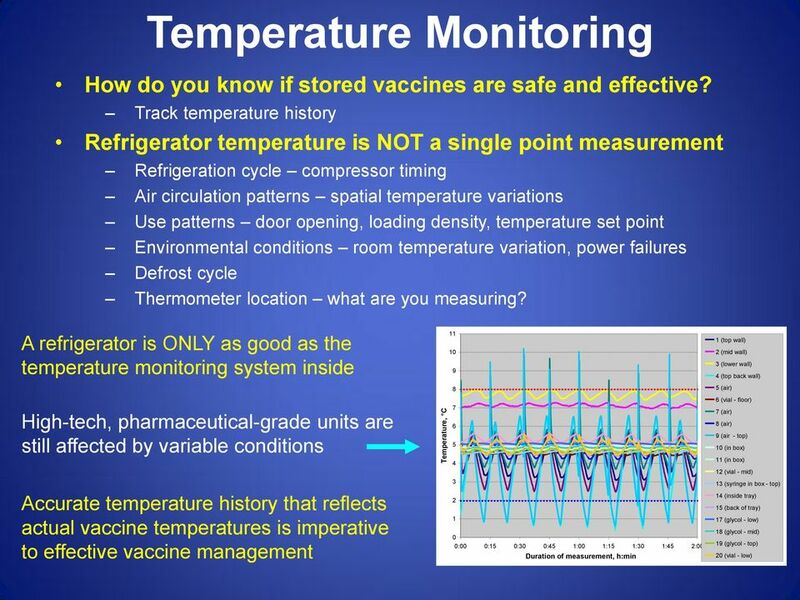 The unit also exhibits large spatial temperature gradients. 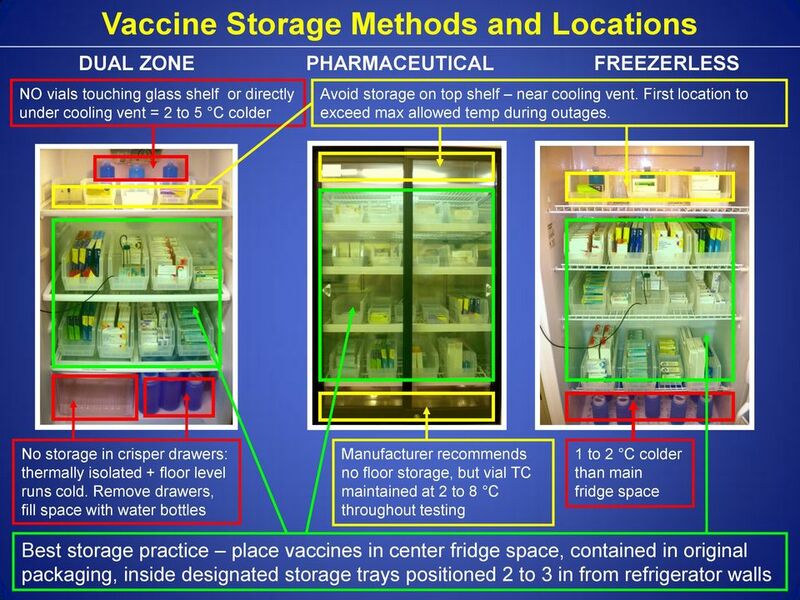 There is no good vaccine storage area inside a dorm-style unit. 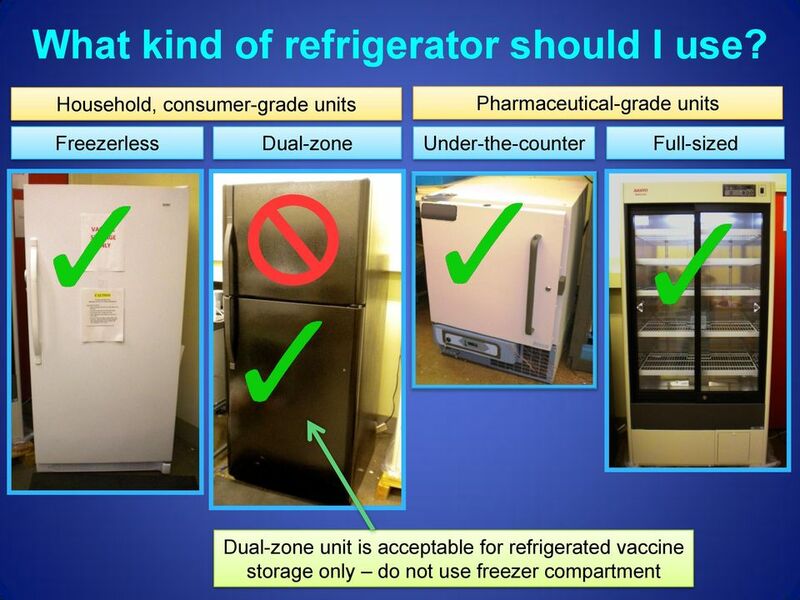 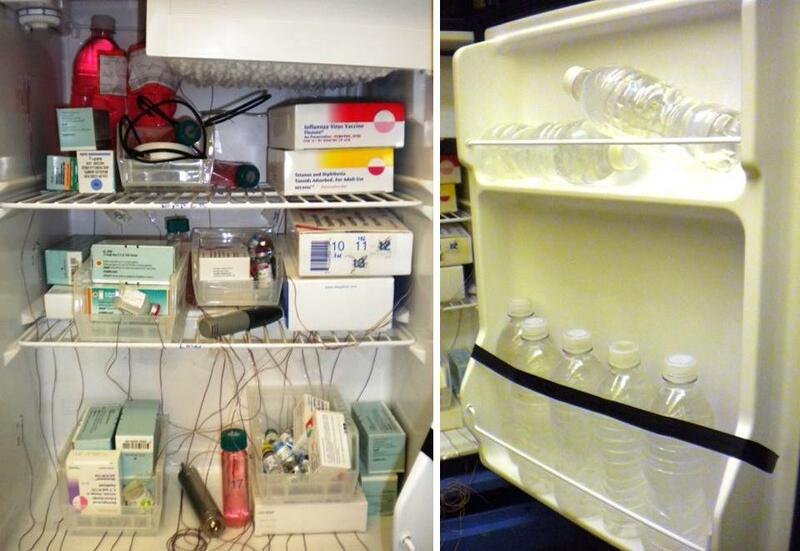 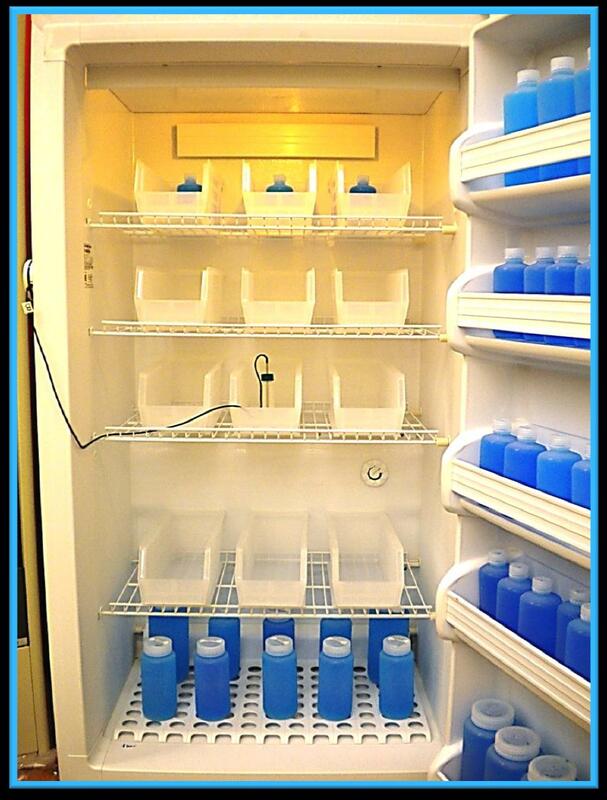 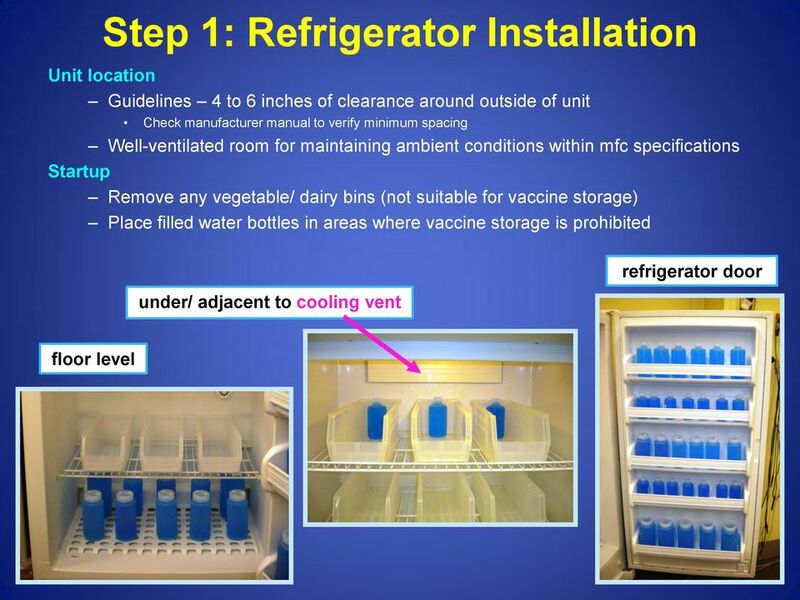 Dorm-style refrigerators should NOT be used for vaccine storage under any circumstance! 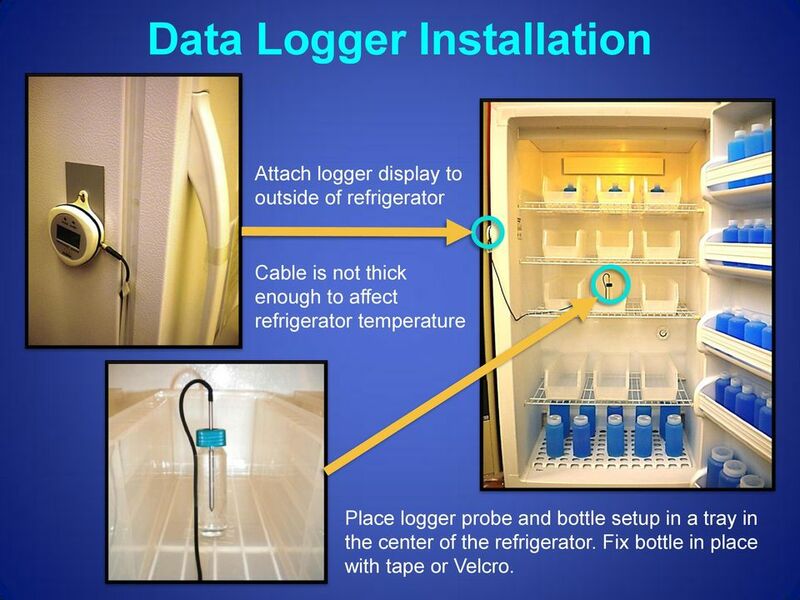 9 Data Logger Installation Attach logger display to outside of refrigerator Cable is not thick enough to affect refrigerator temperature Place logger probe and bottle setup in a tray in the center of the refrigerator. 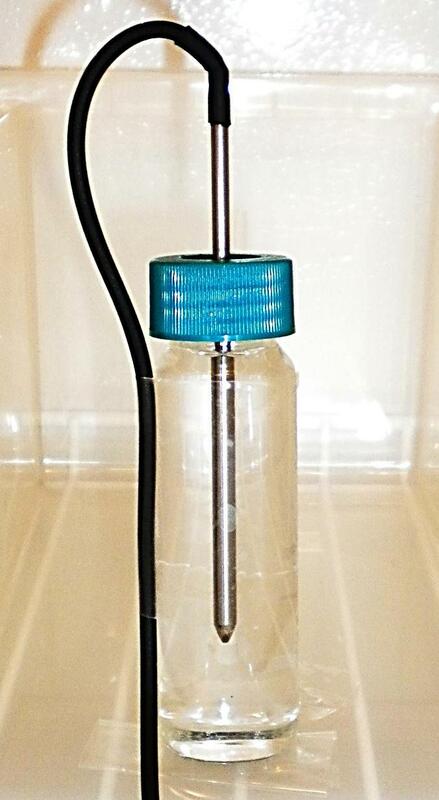 Fix bottle in place with tape or Velcro. 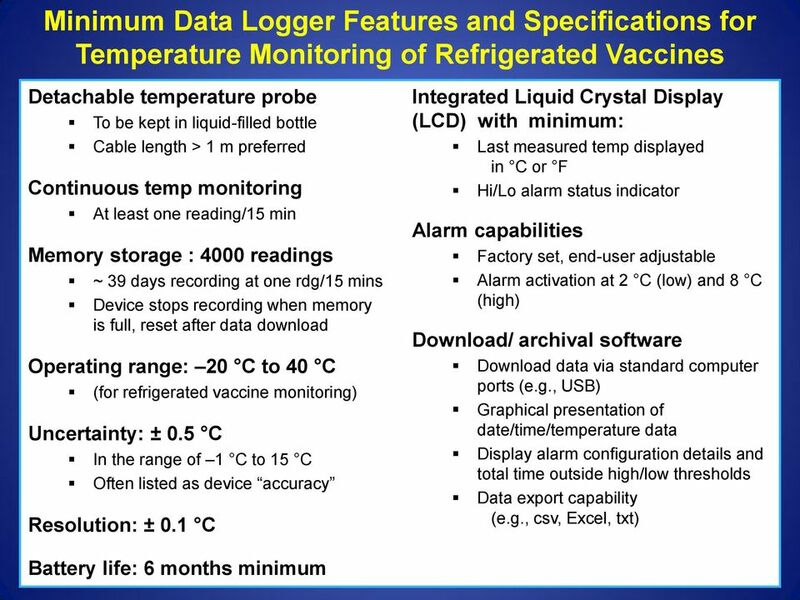 10 Adjust logger settings Data Logger Settings and Startup Leave the probe in glycol setup undisturbed inside the refrigerator Disconnect logger readout unit from probe cable Connect readout unit to computer via USB cable or cradle Open logger software and select option to edit logger settings Device startup Verify correct alarm setting: Low = 2 C / High = 8 C Minimum read rate = 1 rdg/ 15 min Delayed start (optional): may be chosen to allow enough time to reconnect logger readout unit to probe in glycol before recording starts. 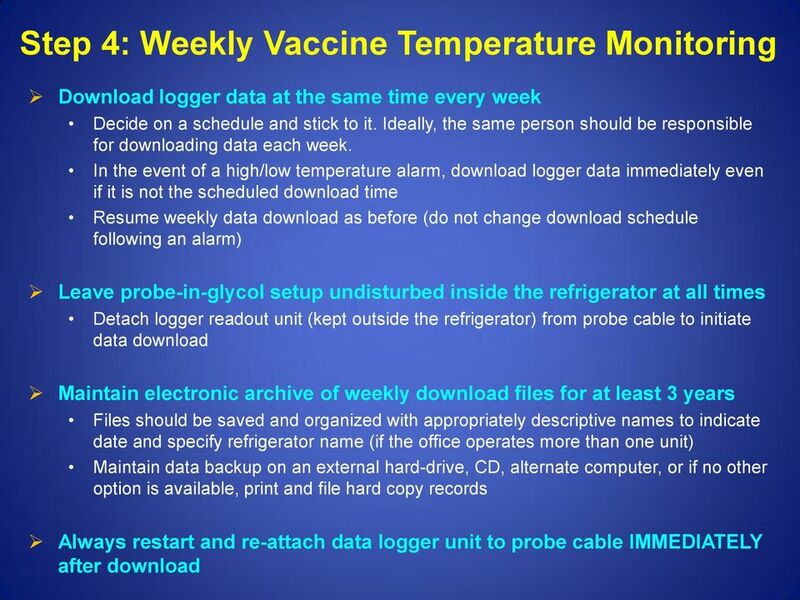 Do not select an excessively long start delay; 5 or 10 min will be sufficient for most cases. 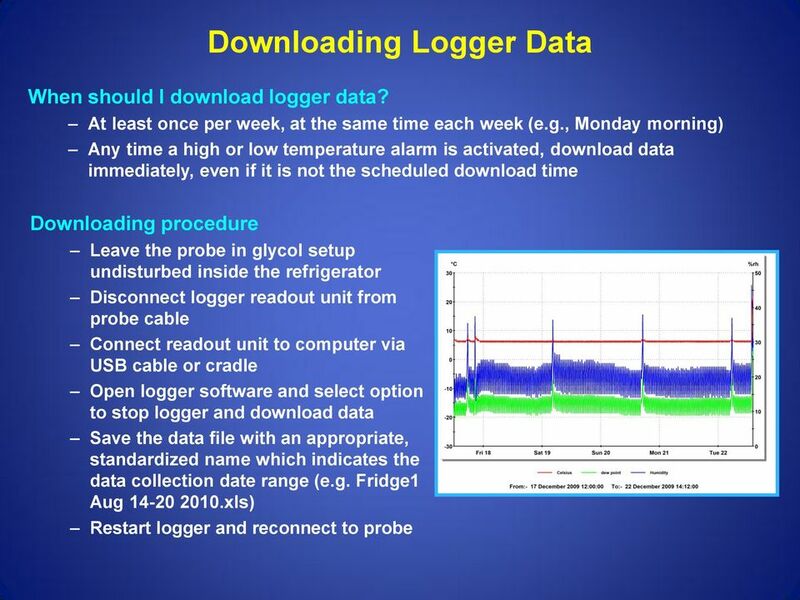 Select start logger or initialize logger in the software program Disconnect readout unit from computer and reconnect it to the probe cable. 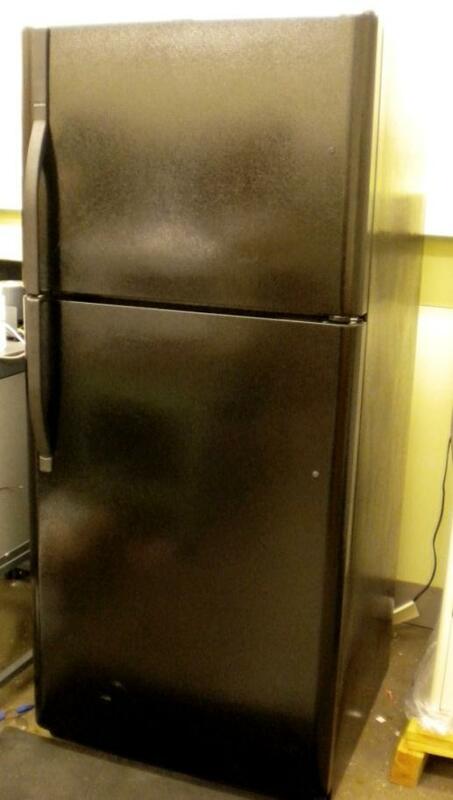 Remember to leave the readout unit outside of the refrigerator for easy viewing. 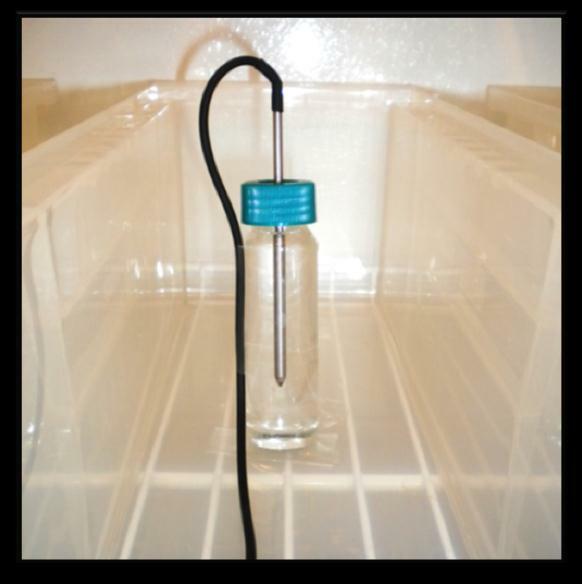 A small magnetic hook can be used to hang the unit on the outside of the refrigerator. 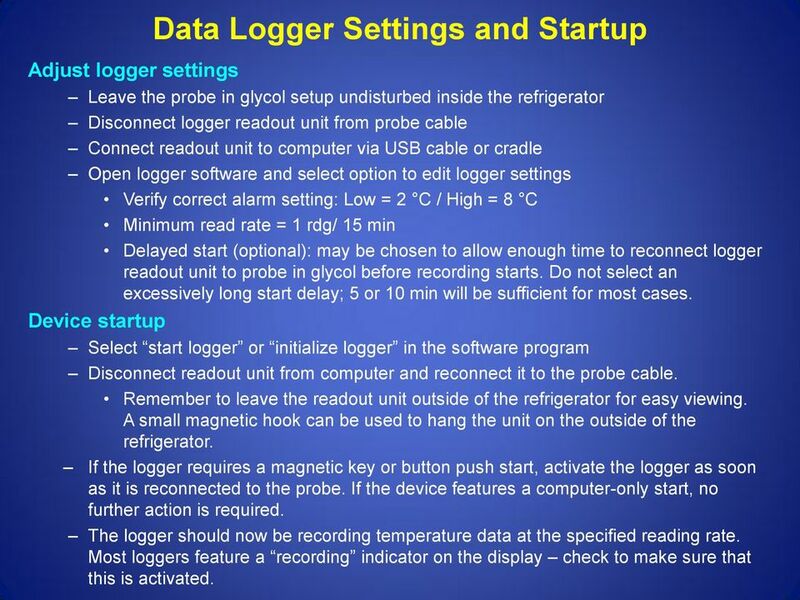 If the logger requires a magnetic key or button push start, activate the logger as soon as it is reconnected to the probe. 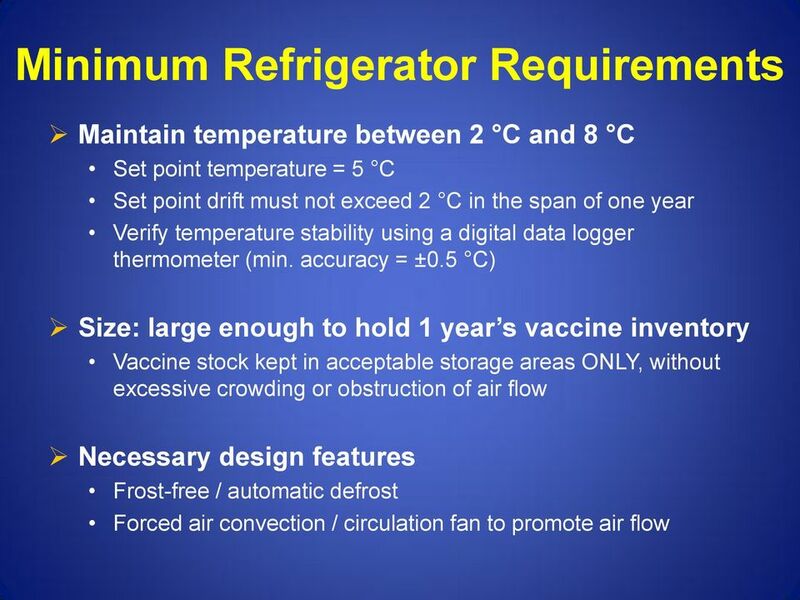 If the device features a computer-only start, no further action is required. 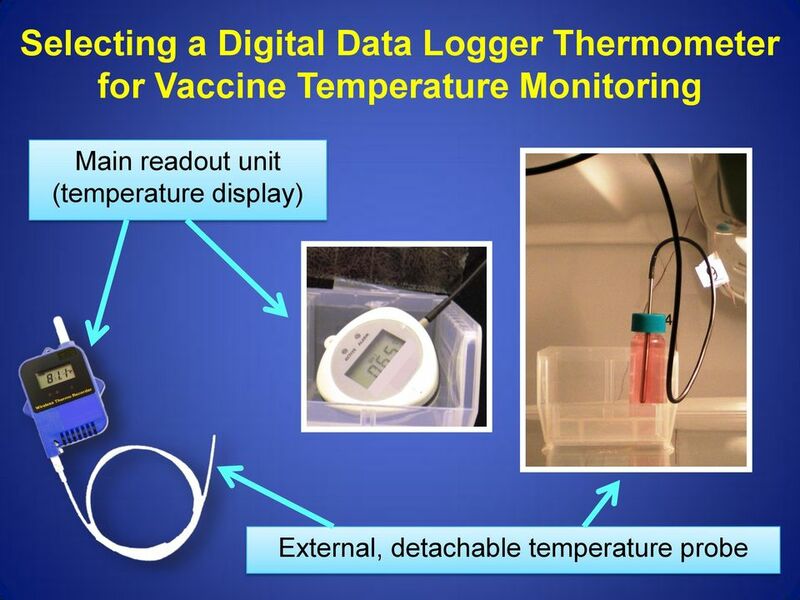 The logger should now be recording temperature data at the specified reading rate. 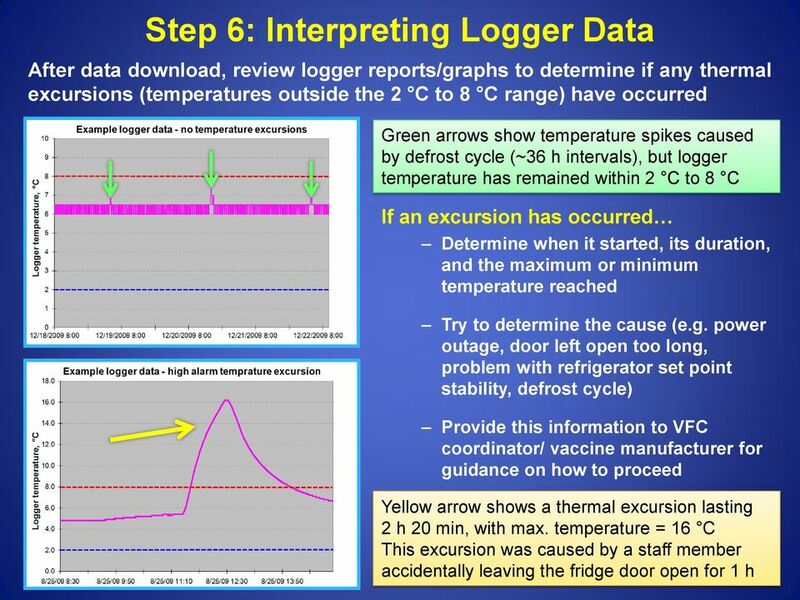 Most loggers feature a recording indicator on the display check to make sure that this is activated. 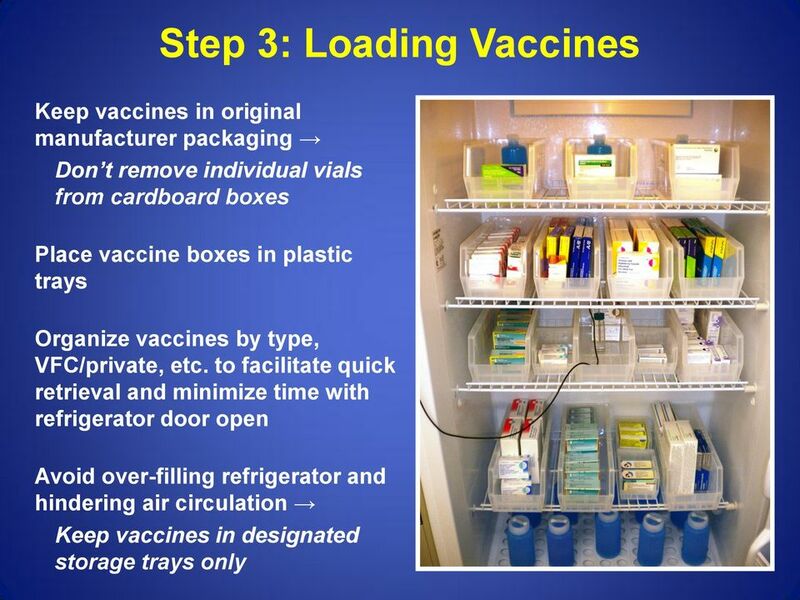 OBJECTIVE: To provide safe storage and handling for vaccines and medications that require refrigeration. 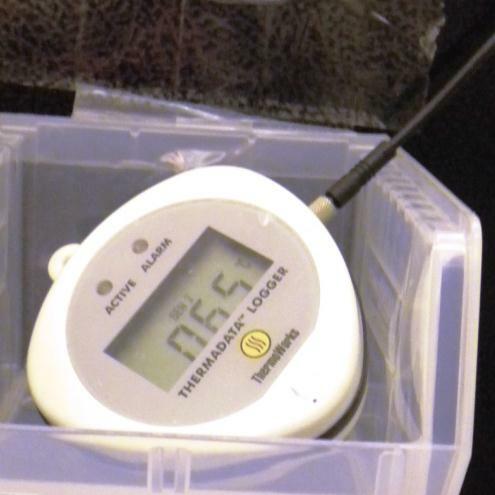 RC-3 Temperature Data Logger Operation Instruction Værkstedsvej 39-41 4600 Køge Tlf 56 66 20 20 Dansk Binær Teknik A/S Fax 56 66 20 30 www.danbit.dk salg@danbit.dk 1 Contents 1. 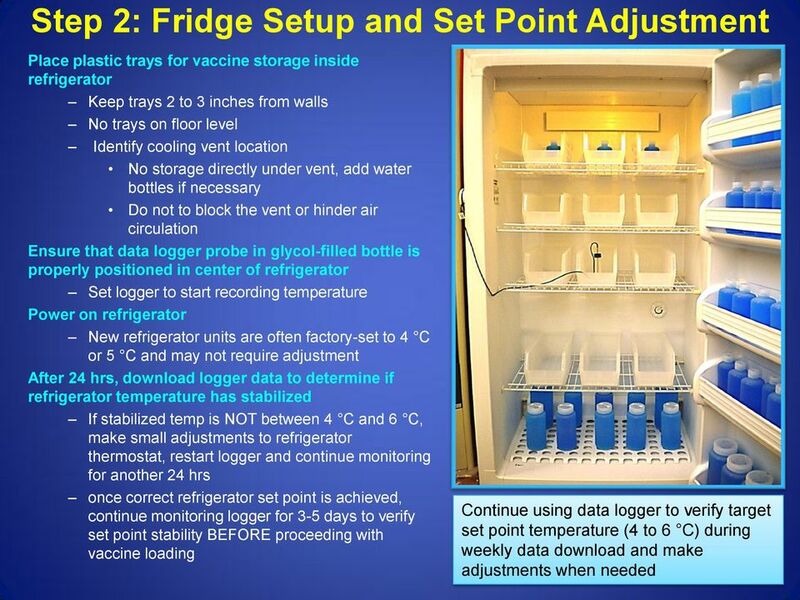 Product overview... 3 2. 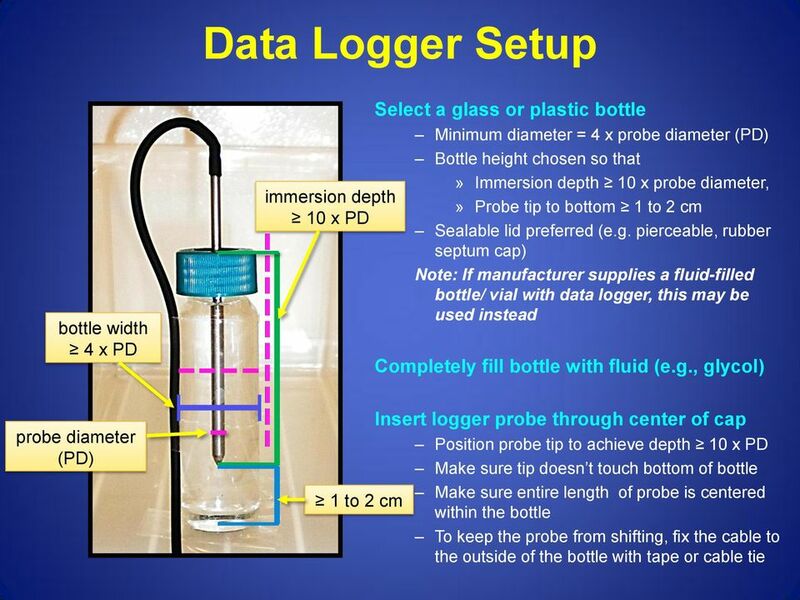 Preparing Log-ic 360 USB Loggers for Use Preparing Log-ic 360 USB Loggers for Use Step 1) Install the latest version of the Log-ic Software. 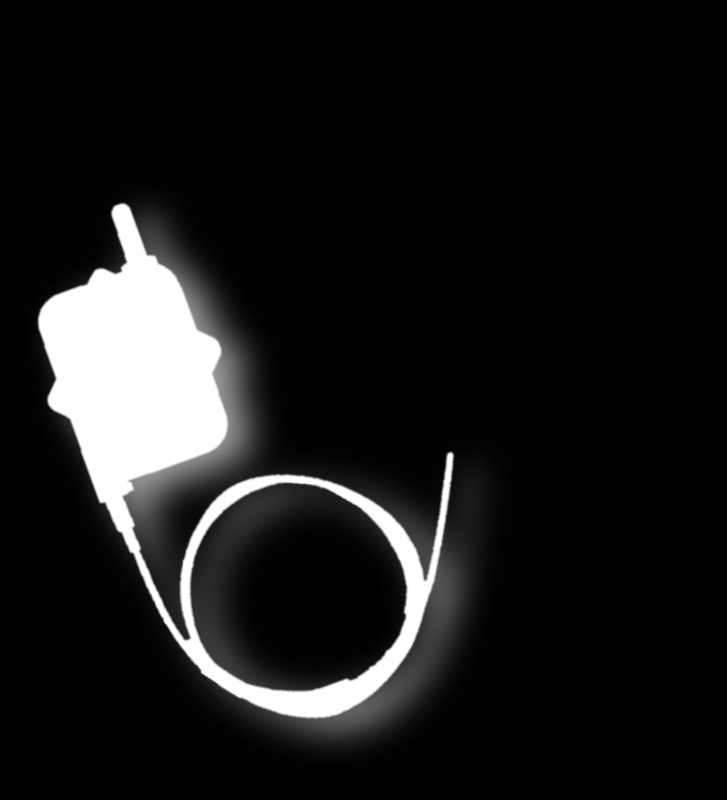 Step 2) Connect the Desktop Reader or plug in a USB logger.